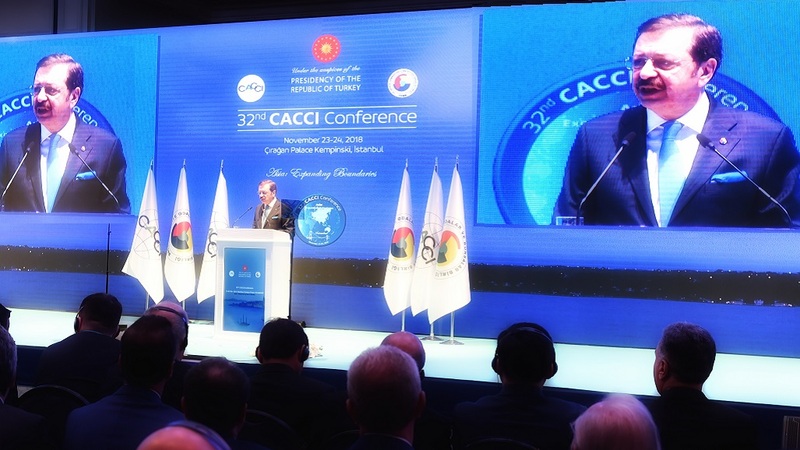 Istanbul – The Confederation of Asia-Pacific Chambers of Commerce and Industry (CACCI) successfully held its 32nd CACCI Conference in Istanbul, Turkey on November 23-24, 2018, with the participation of some 450 delegates composed largely of businessmen and chamber of commerce representatives from 22 Asia-Pacific countries, led by CACCI President Mr. Jemal lnaishvili from Georgia and Mr. Rifat Hisarciklioglu, President of the Union of Chambers and Commodity Exchanges of Turkey (TOBB). 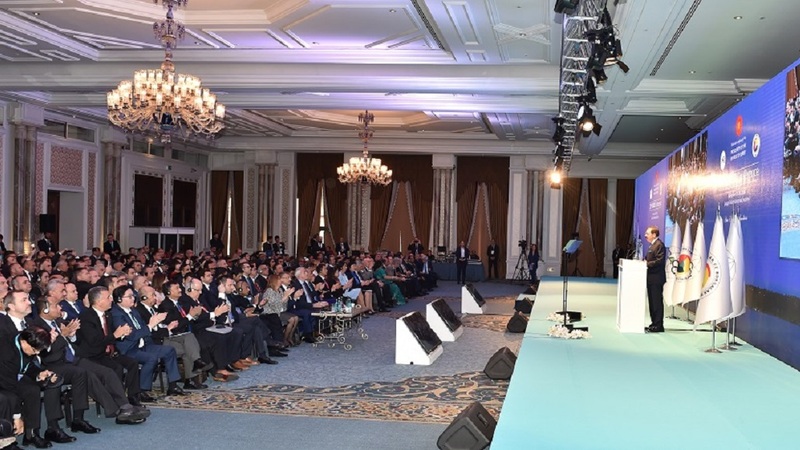 Held at the Ciragan Palace Kempinski, the 2018 Conference was co-hosted by CACCI with the TOBB, the umbrella organization of the business community of Turkey representing 1.5 million member companies It was organized under the patronage of H.E. Recep Tayyip Erdogan, President of Turkey. 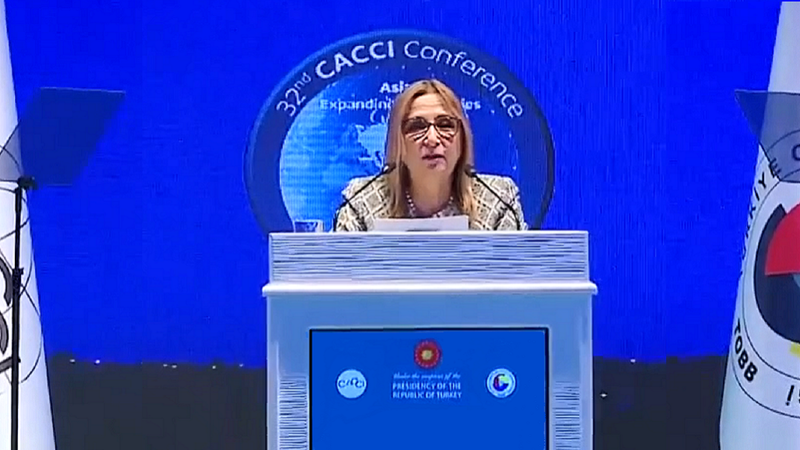 The Istanbul gathering of CACCI members focused on the theme “Asia: Expanding Boundaries”. It was designed to provide delegates a platform to exchange views on measures that the business sector and governments in the region can undertake to address the challenges and take full advantage of the current opportunities offered not just by markets in the Asia­ Pacific region but by countries in other parts of the world as well, thereby enabling them to grow and expand beyond the domestic borders and into the global market. TOBB President Mr. Rifat Hisarciklioglu and CACCI President Mr. Jemal lnaishvili delivered their Welcome Statements during the Opening Ceremony. 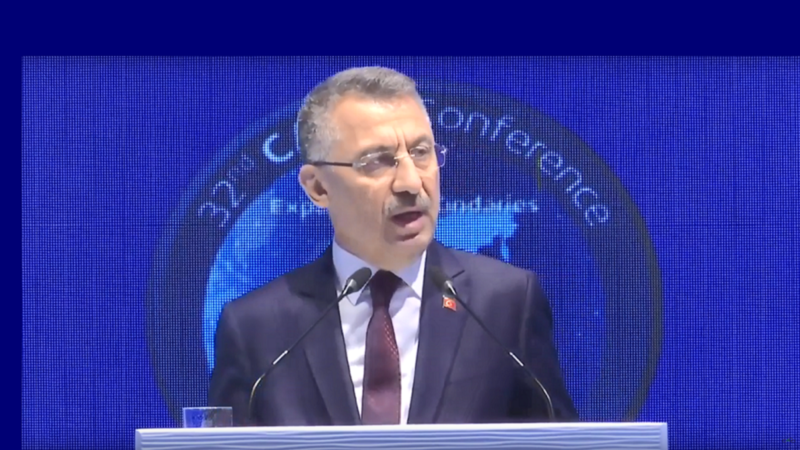 The Special Guests of Honor included Turkish Vice President Fuat Oktay and Turkish Trade Minister Ruhsar Pekcan, and the Keynote Speech was given by Mr. Yi Xiaozhun, Deputy Director-General of the World Trade Organization. 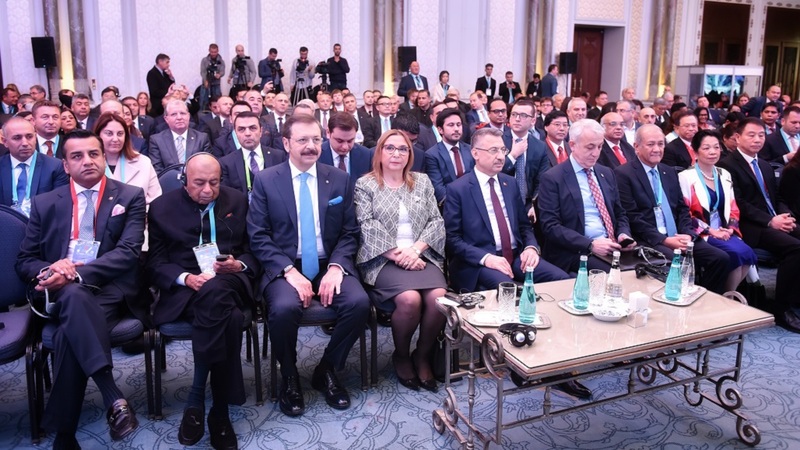 In his Welcome Remarks, TOBB President Mr. Rifat Hisarciklioglu said that the center of gravity of the world economy is shifting to Far Asia and that we are entering the Pacific century, adding that all kinds of products are produced in the region, in different quality and scales. “With over 3 billion consumers, the largest global market is here. Both, economic growth and the increase in imports of goods and services, are above the world’s average. Therefore, the Asia Pacific region is becoming increasingly important for the global economy.” Stating that the Asia Pacific region covers 40 percent of the world’s population, 30 percent of the global trade volume and 23 percent of the world’s economic size, Hisarc1khoglu emphasized that Asia Pacific is pulling global growth, providing 60% of the growth in the world economy. Mr. Hisarc1khoglu also pointed out the importance of Istanbul in the world, noting that Turkey exports $ 170 billion a year and exports $ 50 billion and that because of its geographical position, it has a large industrial production base. He said that Turkey also has great potential and wants to develop Asia-Pacific business, adding that “Turkey aims to increase the trade and investments between us, to establish new cooperation and partnerships. We want a strong economic integration with the Asia-Pacific region.” TOBB considers CACCI members as strategic partners, he said. 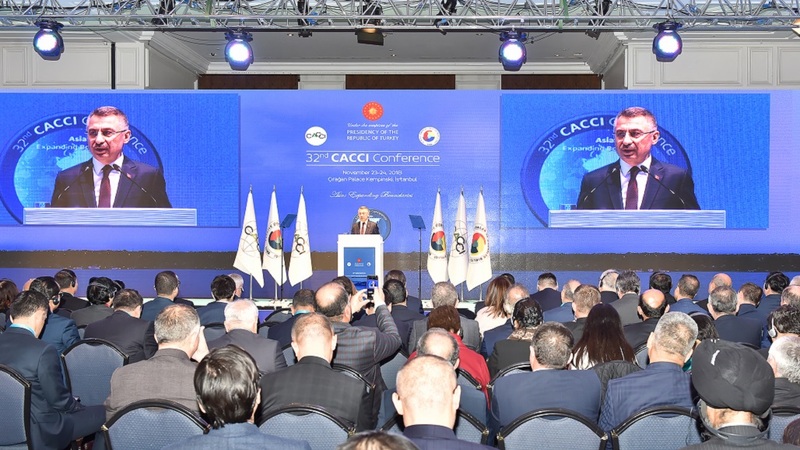 CACCI President Mr. Jemal lnaishvili In his Opening Statement, said that the global economy is currently undergoing changes that have created a market environment that is particularly disorienting for business leaders. The twin forces of rising economic nationalism and the rapid adoption of digital technologies are radically redefining globalization as we have long known it, he said, adding that, indeed the combination of economic nationalism and digital integration poses several major challenges. However, Mr. lnaishvili expressed confidence that, with effective leadership, the region is in a strong position to make the needed transition and capitalize on the new opportunities. He pointed out that while the risks and opportunities created by the emerging globalization framework present a daunting agenda for both business and government, few entrepreneurial cultures and governments have proved more adaptive to change than those of Asia. “The region has successfully navigated every major economic shift over the past seven decades and come out ahead. By working together, business and government leaders can ensure that Asia continues to succeed in the coming new era of globalization,” Mr. lnaishvili concluded. 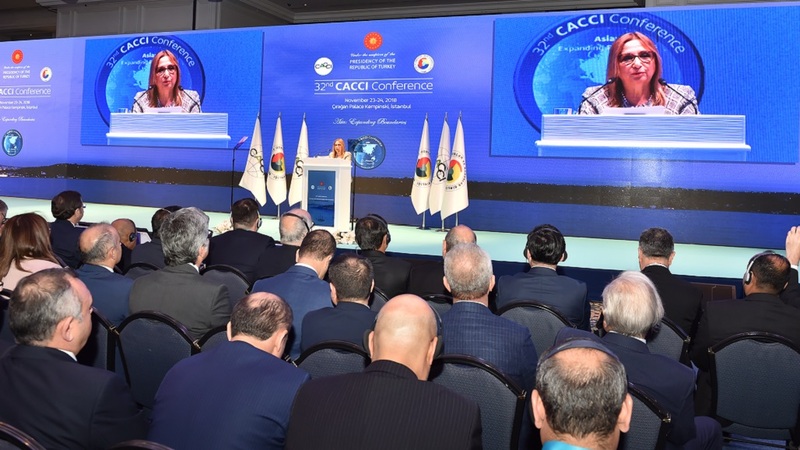 Turkish Trade Minister Ruhsar Pekcan in her Address pointed out that it is important that young entrepreneurs, women entrepreneurs and SMEs participated in the CACCI conference this year and said that the world economy cannot be interpreted correctly without understanding developments in the Asia Pacific region. Minister Pekcan said that Asia’s weight in the global economy is gradually increasing. “While the share of Asia Pacific countries in the global economy was 23.1 percent in 2001, it increased to 29.7 percent in 2017. In the same period, the share of global exports increased from 25.8 percent to 33.7 percent. It clearly shows that the Asia Pacific region has become a new center of gravity for global production and trade.” These developments show that acceleration will continue, she noted. She added that, moreover, one thing is certain: a competitive, industrialized, urbanized Asia must become a consumption economy in the near future. “For this reason, the Asia Pacific Region will be of strategic importance to the Turkish economy and Turkish exporter in the next decades. We will carry out policies based on this global mega-trend. ” the Trade Minister added. 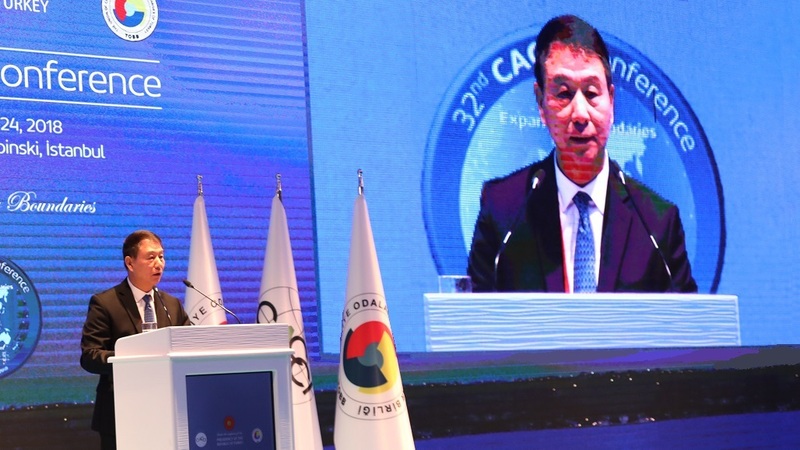 In his Keynote Speech, Mr. Yi Xiaozhun, Deputy Director-General, World Trade Organization, described noteworthy trade developments in Asia and highlighted opportunities that these might present to countries in other regions such as Turkey. He also discussed recent WTO research on how technology is changing the face of trade. He likewise highlighted some of the WTO’s recent achievements that members can build on to reinforce the trading system. In the course of his speech, Mr. Yi noted that attitude towards trade and multilateralism have hardened recently in some countries. He said that in 2018, rising anti-trade sentiment translated into significant new trade actions, including tariffs covering hundreds of billions of dollars’ worth of goods, adding that further escalation could pose real risks to the multilateral system and by extension to the broader trading environment. This deterioration of trade relations should be of utmost concern to both governments and the private sector as it threatens future growth and shared prosperity. “To make progress on the emerging issues of greatest interest to business in the future, a strong multilateral trading system is indispensable. I ask you and the companies you represent to voice your concerns to your governments and ask them to engage constructively with the multilateral trading system, including their participation in ongoing discussions on WTO reform. Safeguarding the WTO is the best way to keep protectionist pressures at bay and to secure the benefits of global trade today and in the future,” Mr. Yi concluded. Istanbul – During the 89th and 90th CACCI Council Meetings, a new governing body was elected for the tenure 2018·2020. Mr. Samir Modi, Member of Executive Committee, Federation of Indian Chambers of Commerce & Industry (FICCI), and Executive Director of K.K. ModiGroup, was elected CACCI President. (4) Mr. Teruo Asada, Special Advisor, Japan CCI and Chairman of Marubeni Corp.
(5) Mr. Henry Kao, Charman of CIECA and Chairman, I-mei Foods Co. Ltd.
(7) Sheikh Fazle Fahim, FBCCI and Managing Director, Obsidian Bangladesh Ltd.
Mr. Amador R. Honrado, Jr. The CACCI Council accepted the offer of Ceylon Chamber of Commerce to host the 33rd CACCI Conference in September 2019 in Colombo Sri Lanka, with the exact dates and venue to be finalized during the CACCI Planning Committee to be held in early 2019 in Colombo.